2. Winners will be chosen at random by use of a digital random number generator, 3 from all eligible Facebook entries and 3 from all eligible Twitter entries. 3. To enter, entrants must comment on the competition Facebook post or tweet @Sourz with (any one of) the National Day(s) that fall on their birthday. 4. This competition is open to residents of the UK (England, Scotland, Wales and Northern Ireland), the Channel Islands and the Isle of Man; aged 18 years or over, except employees or families of employees of The Promoter, its affiliated companies, agencies or anyone connected with the Competition. 5. The competition closes at 23:59 on Sunday 28th February 2016. Entries posted after that time will not be eligible to win. 6. Winners will be notified by a response to their Facebook comment or tweet no later than 17:00 on Monday 29th October. 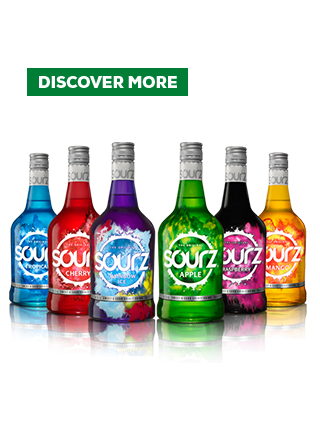 Winners will be required to provide Sourz with photographic proof of age and postal address details to claim the prize. 7. If winners do not respond within 48 hours then their prize will be forfeited and a replacement winner will be chosen. 8.Entrants are responsible for providing the correct address details. Once the prize is sent no changes can be made to the address. 9. By entering this competition all entrants will be deemed to have accepted and be bound by these terms and conditions and consent to the use by the Promoter of the information contained in the entry for the purposes of administering the competition and for further marketing purposes. 10. The competition is free to enter. No purchase is necessary. 11. Entries should not include any profanity or sexual or violent content. Any comments deemed to be inappropriate will be removed from the Facebook Page and will not be entered into the competition. 12. The prize cannot be transferred or exchanged for cash or used in conjunction with any other offer. 13. The Promoter reserves the right to remove any comments that it considers to be offensive, inappropriate or unsuitable and to treat the entrants making those comments as ineligible. 14. The Promoter cannot be held responsible for any entries posted or received after the Closing Date or for any lost or deleted entries. 15. The Promoter reserves the right to verify all claims and disqualify any entrants where there are reasonable grounds to believe there has been a breach of these terms and conditions or incorrect, illegible, fraudulent or other invalid or improper information has been provided, or any instructions forming part of this promotion's entry. 16. If it becomes apparent that an entrant is using/has used computer(s) to circumvent these conditions by, for example, the use of ‘script’, ‘brute force’ or any other automated means, that person’s entries will be disqualified and any award will be void. 17. In the event of circumstances outside the reasonable control of the Promoter, or otherwise where fraud, abuse, and/or an error (human or computer) affects or could affect the proper operation of this [promotion] or the awarding of rewards, and only where circumstances make this unavoidable, the Promoter reserves the right to cancel or amend the [promotion] or these terms and conditions, at any stage, but will always endeavour to minimise the effect to participants in order to avoid undue disappointment. 18. There are no cash or other reward alternatives available in whole or in part except in the event of circumstances outside the Promoter's control. The Promoter reserves the right to substitute similar alternatives of equal or greater value. Unless otherwise agreed in writing by the Promoter the rewards will only be awarded directly to the winners. 19. The Promoter’s decision is final in relation to all matters. 20. Winners’ entries may be used in publicity, which by entering the Competition they consent to doing with no further recompense. 21. This competition is in no way sponsored, endorsed or administered by, or associated with, Facebook or Twitter. By entering this competition entrants understand that they are providing their information to the Promoter and not to Facebook or Twitter. The information you provide will only be used for the purpose of facilitating the competition unless you have agreed to its use for any other purpose. By entering the competition all entrants agree to give Facebook / Twitter a complete release from any and all legal liability in connection with the competition. 22. The competition and these terms and conditions shall be governed by English law and the courts of England and Wales shall have exclusive jurisdiction. 23. The promoter of this competition is: Maxxium UK, Maxxium House, Castle Business Park, Stirling, UK, FK9 4RT (the "Promoter"). All we need is a few quick details from you and in return we’ll give you awesome competition and product updates! Hit the next button then.  Drink Aware.co.uk - Why Let the Good Times Go Bad?